Dear bloggers and lovers of outstanding additions, happy to meet you, today we will discover in this lesson how to add an Mashable Subscription Widget for Blogger. This addition, which I was used it personally in my blog, it very distinctive, as they contain in addition to the subscribe box through letters, as well as it also includes an exclusive range of glamorous additions , including the button impressive by Facebook website social, Also Follow me button Featured by Twitter website social, Button +1 provider by Google Plus the company's giant Google, all these buttons that will gather fans and followers for your blog, and contribute to the dissemination, and most important of all it bring visitors on a regular basis permanently for your blog, this is in addition to the possibility of adding buttons to your pages refer to all social networking sites you want, etc. .. Note: This is excerpted from the site added by Harish, which turn obtained from Mashable website. The installation of this addition is the easiest to be, as with the button underneath, you do not only fill in the fields with appropriate your information. In the Width of the Widget box : You can customize the size of the framework of the addition as to match your blog. 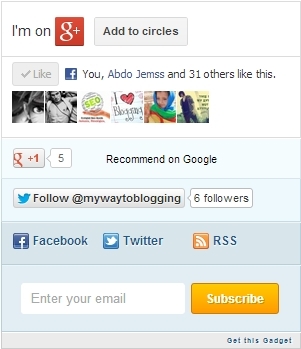 in the Google+ Badge box : If you want to show Google Button 1 + on your blog, accompanied by your account on Google + add the identification number on your Google + . enter your Facebook page link in the Facebook Page URL box. and add your Feedburner ID for Email Subscribe. That's all for this day, I hope you like this lesson, feel free to comment below, have a nice day Bloggers. You enjoyed then Share it and keep in touch to get our latest. A social networking service is a platform to build social networks or social relations among people who, for example, share interests, activities, backgrounds, or real-life connections. 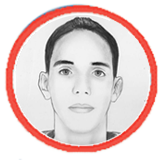 blog is really gud,Help my india is the World Best Forum and Blogging Site which provides the all category of forum and blogging and Social Community site.